Partner with a VIPP to overcome IP challenges. In-House: We have acquired new IP and need help integrating the portfolio into our current operations. In-House: We want to bring IP matters in-house. Law Firms: We have landed a new client and need help transferring new IP portfolios to our law firm. 4. IP Practitioners: We want to reduce our existing staff workload and lessen backlogs as well as fast turnaround times in patent prosecution support. 5. 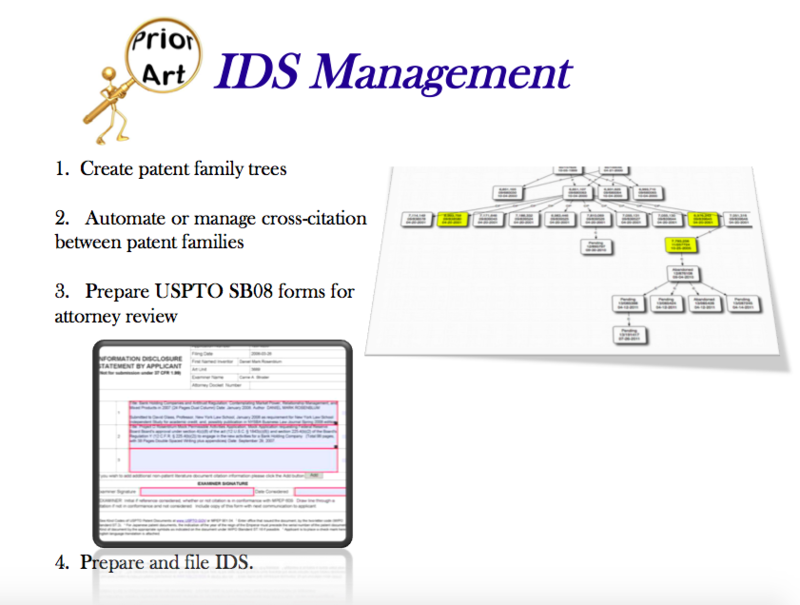 IP Practitioners: We need to revamp our current IDS management and workflow. We have hundreds of prior references, we need to simplify how we track the references and easily review which references have been cited against members of a patent family. Our IntelligentSolutions: When you outsource your IDS project to us, we will handle all of the IDS administrative work from entering and tracking references, our IDS software will automatically cross cite the references to all related matters, generate a cross-citation matrix for the IP practitioner’s review, create IDS SB08 forms, and file the IDS with the USPTO. 6. General Counsels: We need an experienced IP paralegal who understands the corporate side of business and the importance of IP alignment with corporate goals to help us with strategic IP projects. 7. IP Practitioners: We have last minute U.S and PCT patent application filings, we need an experienced IP paralegal to prepare the application for filing with the USPTO. 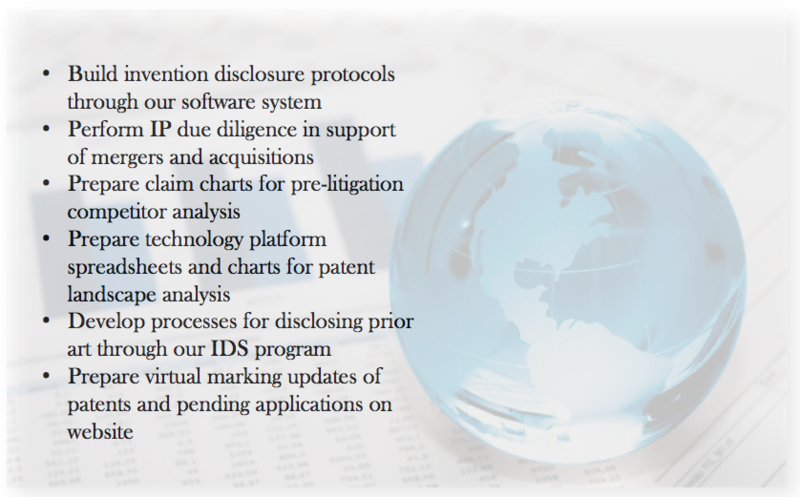 Our IntelligentSolutions: Our VIPP is equipped and ready to assist with your U.S. and/or PCT patent filings needs. Below is our workflow model of how we collaborate with IP practitioners throughout the filing process. 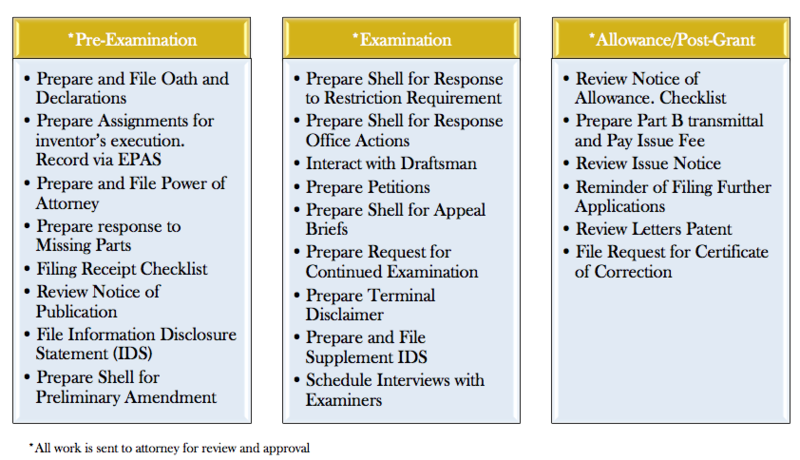 The “Prep for Filing” stage goes through an intense review of errors and omissions of application parts. 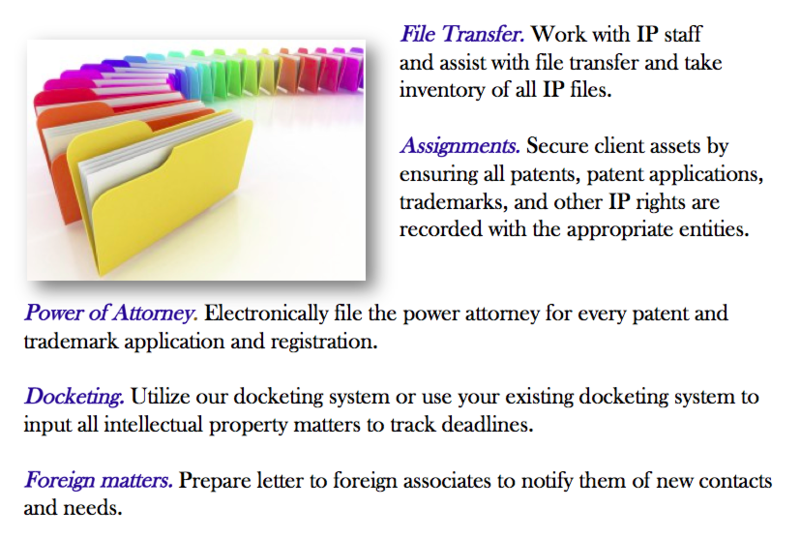 Our unique model makes filings* simple for the IP practitioners. *All intellectual property filings and prosecution work is performed by ABA Certificated Paralegals. Our VIPP is in the Pacific time zone. 8. General Counsel: I am working with CEOs, CFOs, and CTOs of an emerging innovative company who have yet to establish an IP department. We would like to establish an IP department but funds are limited in hiring full-time staff. Our IntelligentSolutions: We have a “Ready-Set-Go!” business model of outsourcing an IP department for your clients. 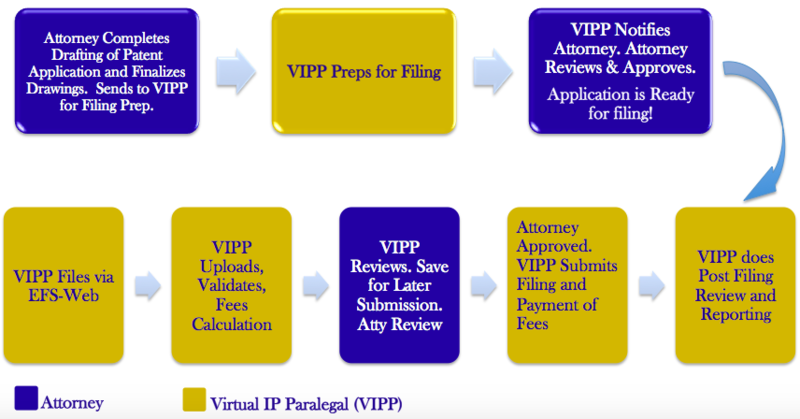 We have in place: A VIPP who specializes in IP department startup, we offer a range of IP support service from docketing to prosecution, and we utilize robust software systems such as docketing and document management programs. We are Set and Ready to Go! The above challenges are only an overview and do not include all the challenges IP practitioners may face. If you have challenges that are not listed above and would like to further discuss, please contact us HERE.